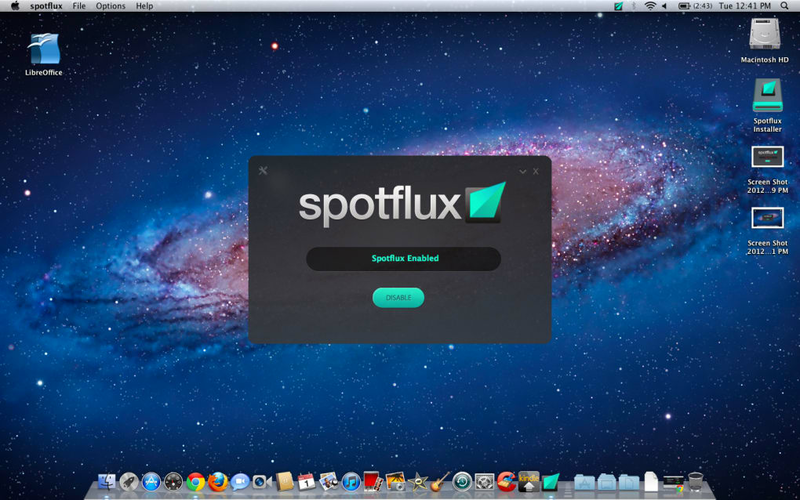 Spotflux is a diminutive application that allows you to browse the internet securely, privately, and safely. There are plenty of programs like Hotspot Shield, TunnelBear, and CyberGhost VPN that allow you to browse content that is not available to you locally. Spotflux differentiates itself by touting its privacy and security features. 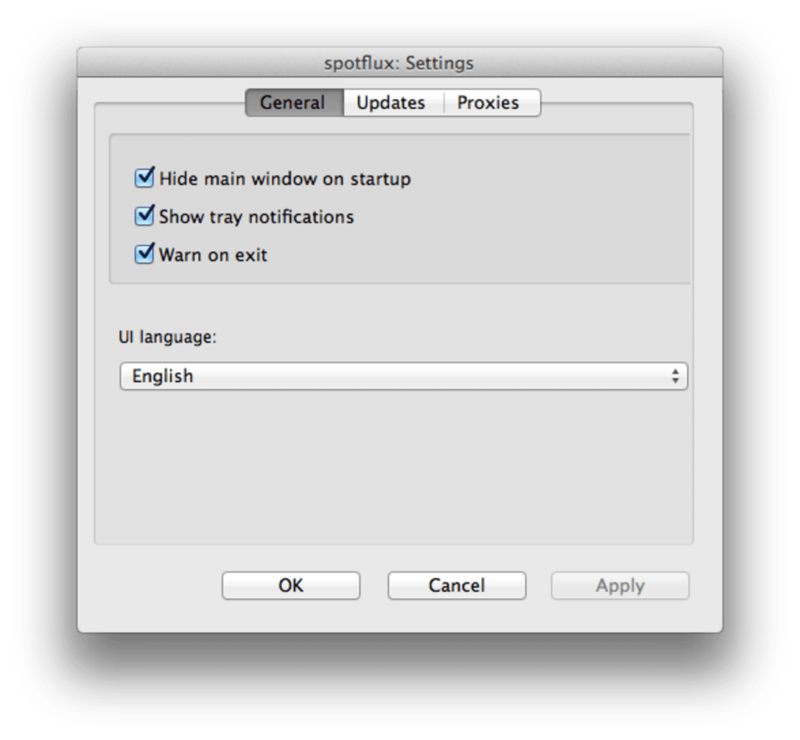 SpotFlux runs silently in the background and sits in your system tray. There is only an on/off button on the main interface. After it's turned on, you can forget about it. 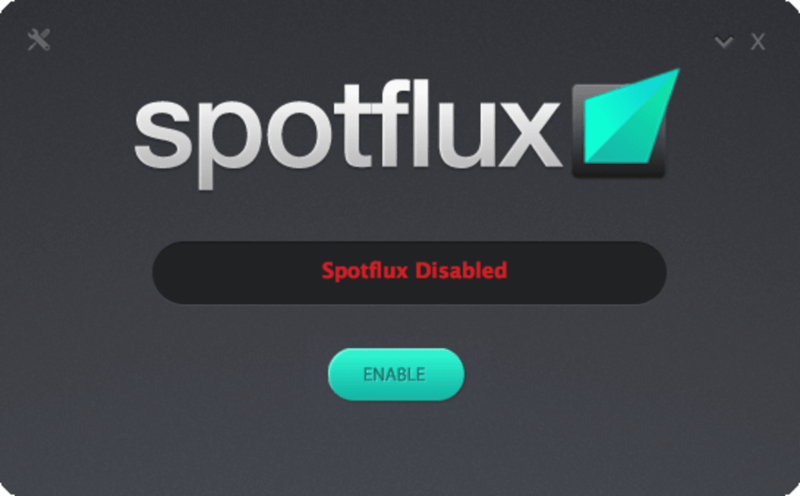 Spotflux is great for browsing on public wifi networks or if you just want to encrypt and secure your connection, say when you're entering sensitive information on a site. One of the coolest features of Spotflux is its ability to block ads. There are browser extensions that do this but is is nice to have Spotflux block advertisements system-wide. This also means that you won't be tracked online and it will help save a little bandwidth since you don't have to load heavy flash ads. Like Hotspot Shield, Spotflux also offers malware and virus protection. This is a nice buffer between you and an infection. It is still recommended that you run an antivirus program alongside though. 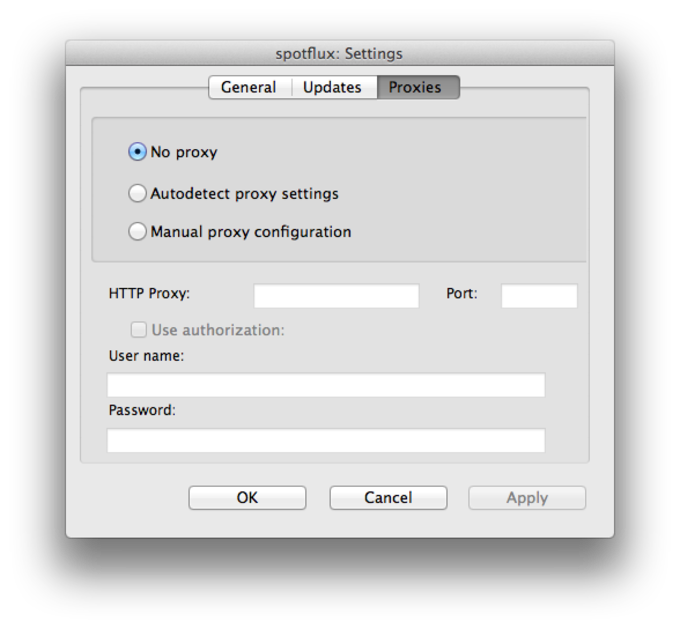 If you require a proxy, Spotflux will let you enter in your proxy server manually. This is great for those who are paying for a proxy service but unfortunately it doesn't provide a built-in proxy like TunnelBear. Overall, Spotflux is a lightweight app that will protect, secure, and make your browsing private. What do you think about Spotflux? Do you recommend it? Why?